I came across an article “Biosolids not all bad, says boosters” . This article speaks to a battle raging over the future of Nova Scotia’s soil. Some of the opposition believe biosolids present a clear risk to human health because of the accumulation of heavy metals and chemicals found in biosolids. Discussions like the one presented in this article are very common and it really points to a need for people to understand the facts about biosolids. To have a clear understanding of what biosoloids are and why they are produced, we need to look at the definition of biosolids as it is stated on the EPA site. Biosolids are the nutrient-rich organic materials resulting from the treatment of sewage sludge (the name for the solid, semisolid or liquid untreated residue generated during the treatment of domestic sewage in a treatment facility). When treated and processed, sewage sludge becomes biosolids which can be safely recycled and applied as fertilizer to sustainably improve and maintain productive soils and stimulate plant growth. Creating a sustainable product to enrich the soil and improve plant growth. Biosolids are regulated by the EPA Part 503 Biosolids Rule. This rule is very stringent and it looks at a number of toxic heavy metals. Because of the strict regulations involved not only from the EPA side, but also at the state level, very few laboratories offer analysis in this area. Midwest Laboratories currently services Biosolids clients across the country. Currently the EPA 503 Package is available at a cost of $175.00 per sample. Our client service staff is in communication on a daily basis with Biosolids Producers working with them with respect to testing. 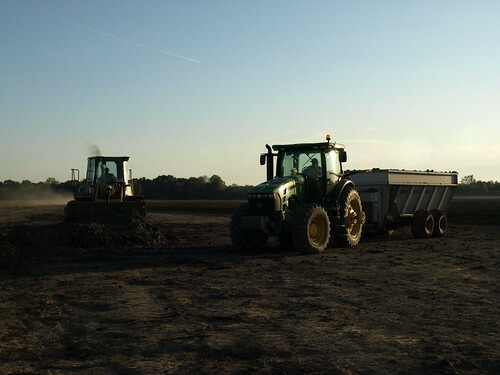 Because this type of product is heavily regulated, biosolids producers constantly monitor their process and final product to insure that safety is enforced to the highest level. I would invite you to talk to a representative from a biosolids producer and I think will have a better appreciation for all the time and effort they spend trying to meet regulations and insure a safe product.